National Coffee with a Cop Day! The first Wednesday of every October is deemed National Coffee with a Cop Day. This is the third annual National Coffee with a Cop Day hosted by police departments in all 50 states. Please join your neighbors and Dunwoody Police officers for coffee and conversation on Wednesday, October 3, 2018 from 7:30 a.m. to 9:30 a.m. at Crema Espresso Gourmet. 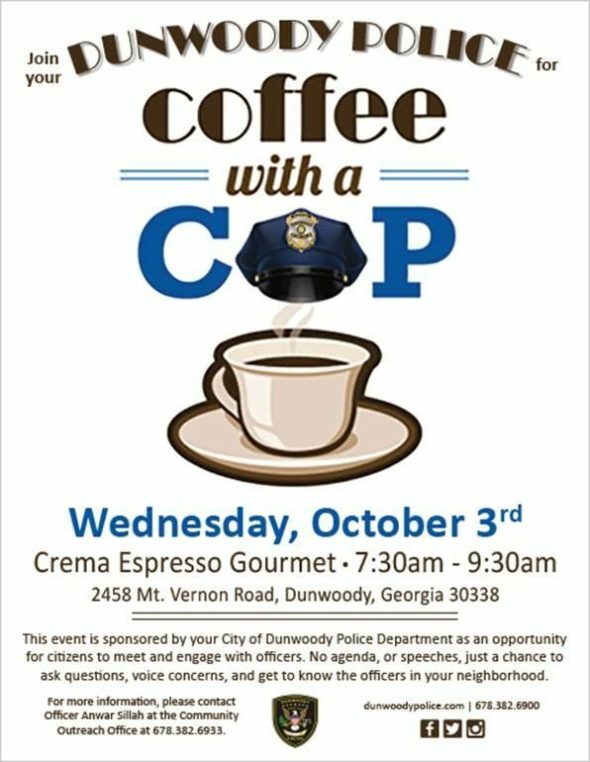 No agenda or speeches, just a chance to ask questions, voice concerns, and get to know the officers in your neighborhood. Crema Espresso Gourmet is located at located at 2458 Mt Vernon Road, Dunwoody, GA 30338. 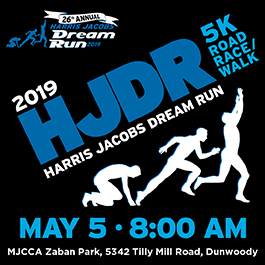 For more information, please contact Community Outreach Officer Anwar Sillah at 678-382-6933 or anwar.sillah@dunwoodyga.gov. We’re looking forward to seeing you and the members of your community there!